Home > Speakers > David Bruyette D.V.M. Dr Dave Bruyette received his DVM from the University of Missouri in 1984 and completed an internship at Purdue University and residency in internal medicine at the University of California-Davis. He was a staff internist at the West Los Angeles Veterinary Medical Group and a member of the Department of Comparative Medicine at Stanford University. Dr Bruyette was an Assistant Professor and Head of Internal Medicine at Kansas State University and Director of the Analytical Chemistry Laboratory at Kansas State. Currently, he is Medical Director at the West Los Angeles Animal Hospital and a clinical professor in the Department of Radiation Oncology at UCLA. 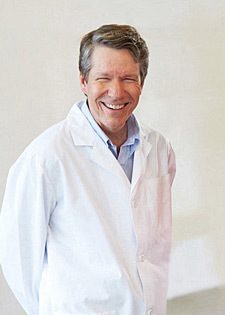 Dr Bruyette is a diplomate of the American College of Veterinary Internal Medicine.